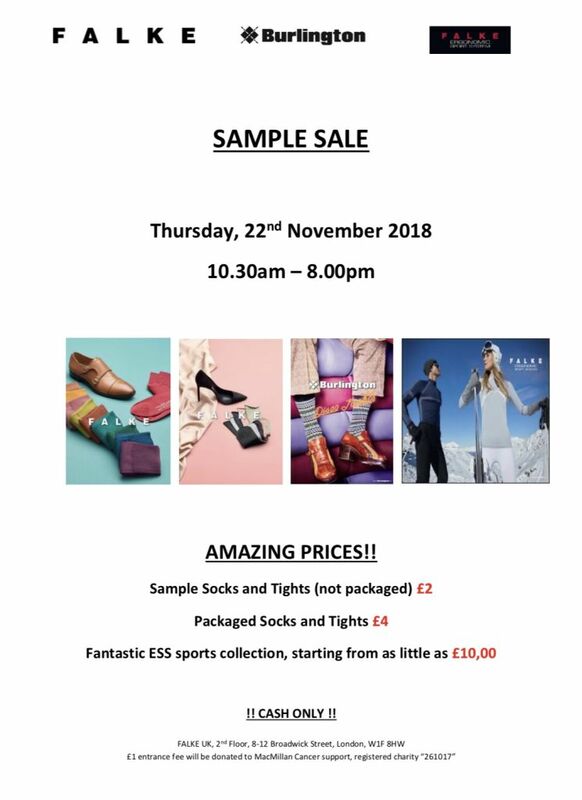 Expect a huge range of men's and women's samples across all categories including socks, tights, sports and ski wear at this sample sale featuring FALKE, FALKE ESS and Burlington! Prices will start at only £2 for legwear and £10 for sportswear! Told there is no restocking. If you are looking for black tights I doubt you will find any. Tights available in powder colour. Sample size seems to be M in tights. Few large size. If you are going to go, go now.